Avillion Layang Layang is a private island resort located in the South China Sea near Borneo, Sabah, Malaysia also known as "The Jewels of the Borneo Banks". Off the mystical island of Borneo lies a little gem, a sparkle within the deep blue sea. Like a mariner's dream, it stands all alone, a striking haven in the wide ocean waiting to be discovered. This is the intriguing island of Layang Layang, a coral-blessed, deep sea atoll off the coast of Sabah; a kaleidescopic underwater world like no other. This marine heritage is a geographical wonder, with the atoll rising from the deep blue of 2,000m, hardly breaching the surface. 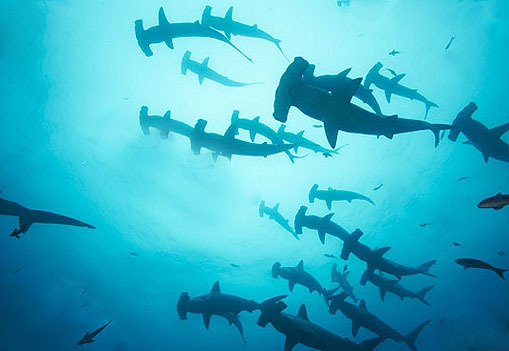 Scuba diving is of course the main reason that people visit Layang Layang Island Resort and shark enthusiasts are in for a real treat between April and May when schools of hammerheads make their way through the area for the mating season. Also to be seen are a number of other pelagic species and some macro life too. As many as 13 coral reefs have formed here, creating breathtaking underwater scenery. Diving is the pinnacle of Layang Layang's beautiful experience - expect a vacation like no other on this isolated atoll. Being in the middle of nowhere has its advantages. The nearest human inhabitation is over 300 kms away, separated by the fierce South China Sea. The marine life here enjoy total isolation from human encroachment. Its pristine walls with outstanding underwater visibility that average of 30-60 metres year round bears testimonial to its heritage. Layang Layang is a wall diving mecca. The ocean floor drops to an amazing 2000 metres from the edge of the atoll. The combination of deep water and pristine walls attracts big fishes galore with the hammerhead sharks being one of Layang Layang's most famous residents. Big schools of these rarely seen oceanic sharks congregate here, their silihouettes dramatically gliding in the clear blue. Not less spectacular are the occasional appearances of dolphines and a turtle or two swimming gracefully around you. And it's not surprising to find yourself being surrounded by schools of Jacks. Another major attraction of diving in Layang Layang is the feeling of frontier diving - you could see almost anything. Every dive brings some new surprises - whether it's a dogtooth or a forest of gorgonian fans. The exceptionally dear water has promoted superb coral growth, and the craggy walls are a mass of soft coral and sponges. Diving is as easy as 1, 2, 3 with Layang Layang Island Resort, as all dive gear is available for rent and will be pre-loaded onto the resort’s diving Catamarans. Guests are on-site in less than 30 minutes and can enjoy all that the underwater world has to offer. The in-house PADI dive center is professionally run by a team of experienced and qualified instructors. The dive team has thousands of dives at Layang Layang between them. Many stunning dives await you as the average visibility is between 30 to 60 metres year round. Layang Layang is a wall diving mecca - the ocean floor drops to an amazing 2000 metres from the edge of the atoll. This combination of deep water, pristine walls and healthy coral gardens means that you'll see varied sealife from pelagics to colourful tropical fishes to anemones and nudibranchs. Equipment in dive centre include 10 Catamaran boats that brings the divers to the sites within 10-15 minutes, 300 80cu.ft. aluminium tanks, Bauer KAP 180 compressors, 20 sets of BCDs and regulators (Scuba Pro), lots of fins, masks, booties, weights and belts. 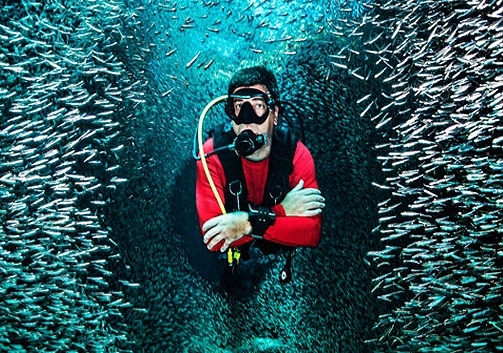 All divers must agress to the strict Environment Conservation Programme set-up by the Dive centre and are required to sign a Reef Conservation Policy prior to diving. PADI dive courses up to Divemaster level are conducted. Layang Layang Resort features 86 newly renovated traditionally-designed rooms reflecting the rustic and beautiful style of the Borneo tribes. All rooms contain modern amenities and home comforts as well as a taste of the exotic. Although Layang Layang Island is an exotic and remote destination, guests are not expected to settle for less than total comfort and exceptional service. Guest rooms are air-conditioned and have all the modern comforts such as private hot showers, refrigerators, telephones and TVs with regional satellite broadcasts and in-house videos. Rooms come equipped with 2 queen beds for twin sharing and 4 different room options are available. Layang Layang Island Resort is the only commercial operation on the island. The resort complex is made up of six blocks of tropical hardwood timber structure housing 86 well-appointed guest rooms. All guest rooms are equipped with remote controlled air-conditioner, telephone, television with in-house video & programmes from regional satellite broadcast, private hot/cold shower and toilet, two queen-sized beds and a private balcony. 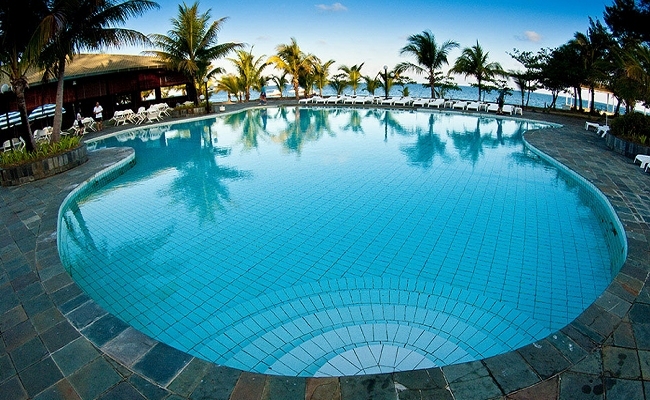 The resort offers a wide variety of activity choices for divers and non-divers. Aside from water-based activities such as windsurfing, kayaking and snorkelling, guests can opt for a relaxation session at the swimming pool or the resort’s spa called Raba Raba House. The reception block houses a lounge bar, reception counter, 150 seats restaurant and a fresh water swimming pool. International telephone & fax services are available. The reception block houses a lounge bar, reception counter, a 150-seat restaurant and a fresh water swimming pool. International telephone & fax services are available. With a large restaurant serving Continental and traditional Asian fare as well as a bar lounge, conference room and reading corner, there are many areas to relax and socialize on the resort. As all guests are on full board basis, meals are presented daily in either buffet setting or set menus with a main focus on Asian cuisine interspersed with International favorites. Enjoy scrumptious meals for as often as five times a day! The resort can also cater for banquets, seminars, meetings, conferences and incentive group functions, with the ability to host up to 200 persons. Visit the Bird Island Sanctuary, where many migratory birds including egrets, swallows, crested terns, brown foot boobies and more birds come within a large lagoon. When you are not diving, bird watching is the pastime. Binoculars are not required as migratory birds have taken over one of the island within the lagoon for their annual breeding season. Boat trips to the Bird Island sanctuary can be arranged upon request. Here at Bird Island, swallows, egrets, brown foot boobis, crested terns and other feathered creatures find a resting place on a predator-free breeding ground after long journeys. 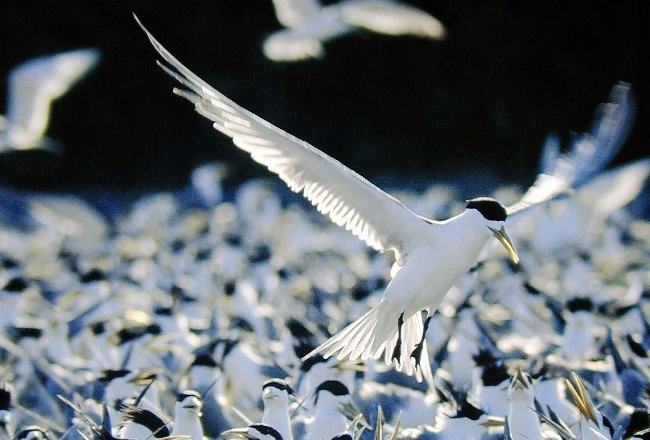 At any one time, there are hundreds of birds on this undisturbed island. One can see terns in courtship and parenting boobies feeding chicks with food between their beaks. Besides the marine life, these birds are a unique attraction at Layang Layang. The nearest International access point is the Kota Kinabalu International Airport, Sabah; a state of the Malaysia Federation in the island of Borneo. Direct flights are available from Tokyo, Taipei, Kaoshiong, China, Bangkok, Seoul, Hong Kong, Bali, Manila and Kuala Lumpur. Regular flights are operated by a private airline from Kota Kinabalu Terminal 1 Airport to Layang Layang. Flights will land at a 1400 metres runway on Layang Layang Island. As limited seats are available, kindly check on seat availability upon booking with our booking with our Kuala Lumpur Sales & Reservation Office. As there are only a couple of charter flights per week to Layang Layang Island, it is highly recommended to book in advance. Layang Layang is only accessible from March till August (it is closed during the monsoon season from September till February). Layang Layang is a small oceanic atoll situated 300 km off the coast of Sabah, East Malaysia in the middle of South China Sea. The exact location of Layang Layang is 7.5 degrees north of the equator and 114 degree east of the meridian. 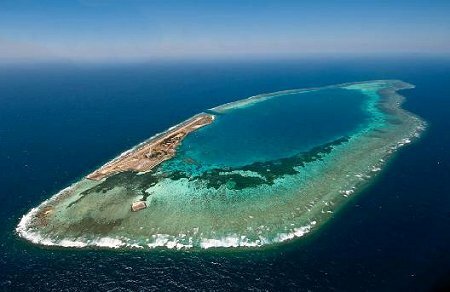 Layang Layang is a coral atoll of 14 square kilometres in diameter, jutting out to about 2,000 metres from the depths of the South China Sea. Please ask for Package Rates and sample itinerary. 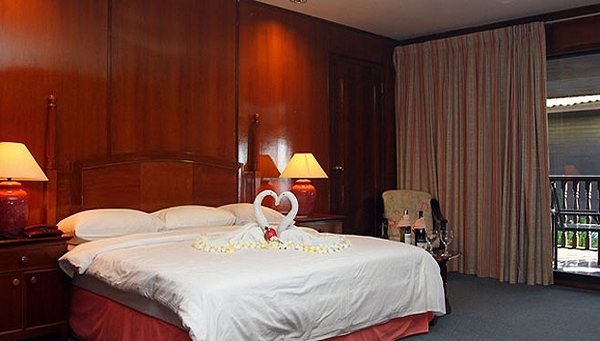 Package includes full board and twin sharing room accommodation. Guest on Diver Package is entitled to 2 boat dives on arrival day; 3 boat dives on subsequent day and 1 boat dive a day before departure. Divers are provided with tanks, weights and belts. The diving season is from February to October. The resort operates from March to August. This is to facilitate our annual maintenance of the resort. For non-diver, Layang Layang also offers loads of other fun activities such as wind-surfing for qualified surfers, snorkeling trips, kayaking and seasonal bird watching sessions. PADI Scuba classes are offered to those who are interested in experiencing the wonderful world of diving. Opt for the "Discover Scuba" lesson if you want to learn basic skills on the usage of scuba equipment and experience being underwater. If the lagoon is not enough, there's a swimming pool that seems to continue into the sea - a great spot to cool down, read a book or get some drinks. There is also a massage centre where you can get a body massage or foot reflexology by our experienced masseurs. It is recommended that you purchase a travel insurance and Dive Insurance (Divers Alert Network) before your trip to Malaysia. Note: Scuba diving at Layang Layang can easily be combined with the Sipadan Park islands and the Tun Sakaran Marine Park.